Spiritual gifts are given to us by God to prepare us for the life God has for us. We are each gifted differently, and God will continue to help us in our gifts as we grow in Him. 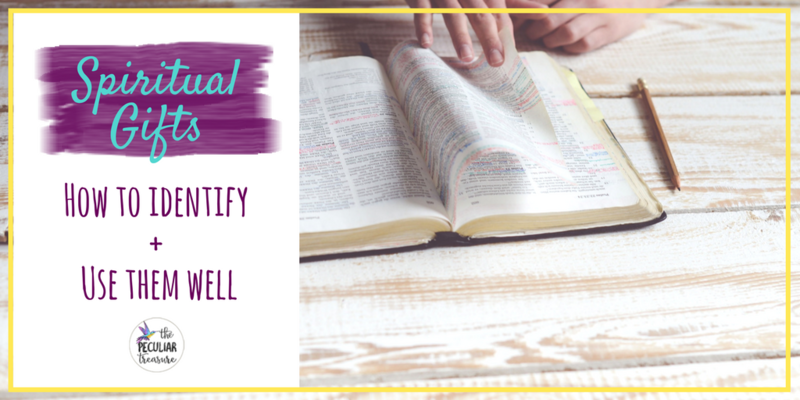 How do you find your spiritual gifts and use them well? Learn how to find and use your Christian gifts today. Lately, I've been reading through 1 Corinthians. There's so much in that book, and a lot to go over. 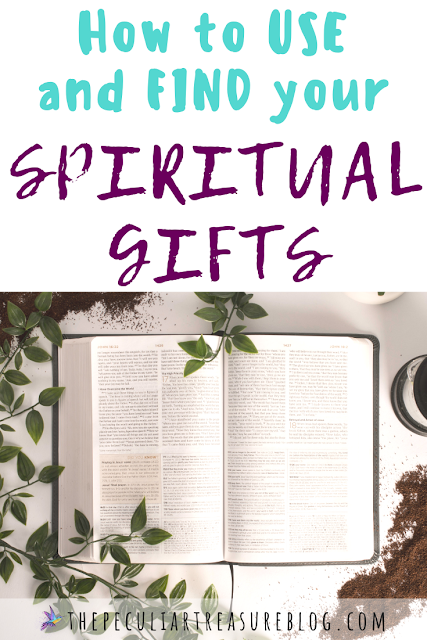 But one of my favorite things to study from the book is the topic of spiritual gifts. Spiritual gifts are not nearly as complicated as they sound from the name. They are literally just the natural abilities that God has specially gifted you with that can help in a church/Christ-centered setting. 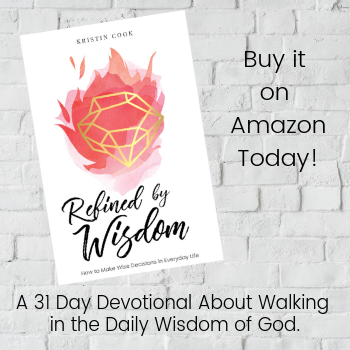 The passage on spiritual gifts in Corinthians names things like knowledge, faith, healing, wisdom, and a few others as being spiritual gifts (1 Corinthians 12:7-11). 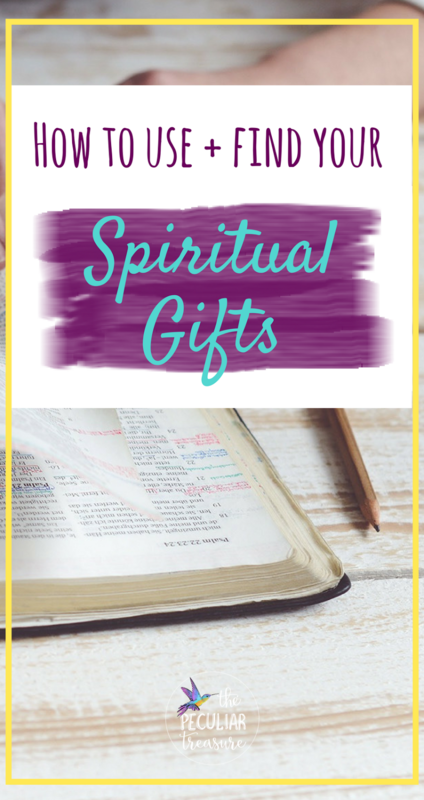 Throughout the bible, we will find that there are also other types of spiritual gifts (see Romans 12:3-8), so we are not just limited to the list in 1 Corinthians. 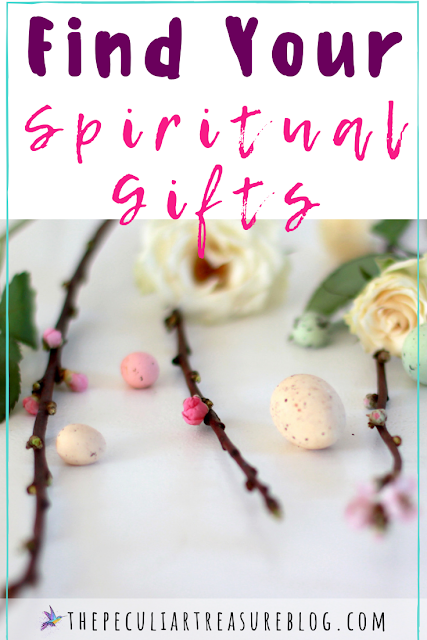 But sometimes, it can be hard to identify what our spiritual gift is. 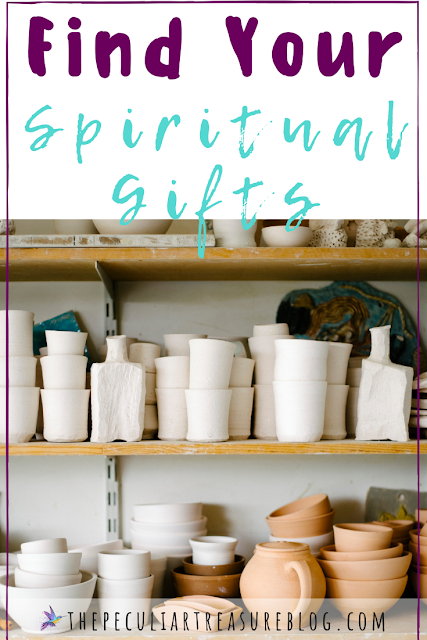 Shoot, it can be hard to identify other natural talents in life too, so pin-pointing our spiritual gift can really take some time to recognize if we just aren't sure. But thriving with our gifts for the kingdom of God is a huge honor as Christians. God didn't give us our gifts just so we could ignore them, struggle to find them, or avoid using them. No, he gave us these gifts to use with great joy as we do the things he has naturally gifted us to do, which often brings us great joy. So if you are a follower of Jesus and want to identify your spiritual gift, or if you know your gift(s) but just aren't sure how to use them, I'm going to try to help you with that today. If you do a Google search for "spiritual gift tests", you will find quite a few. I believe that taking these tests (maybe a few different one's to compare the answers) can be helpful in finding your general abilities and strength, and if you've never taken one, it could be helpful. However, I recently read a blog post about how in Scripture, there was never any indication that believers were struggling to find their spiritual gifts, and there wasn't a crisis of having to take a quiz to figure it out. I can see that point too. 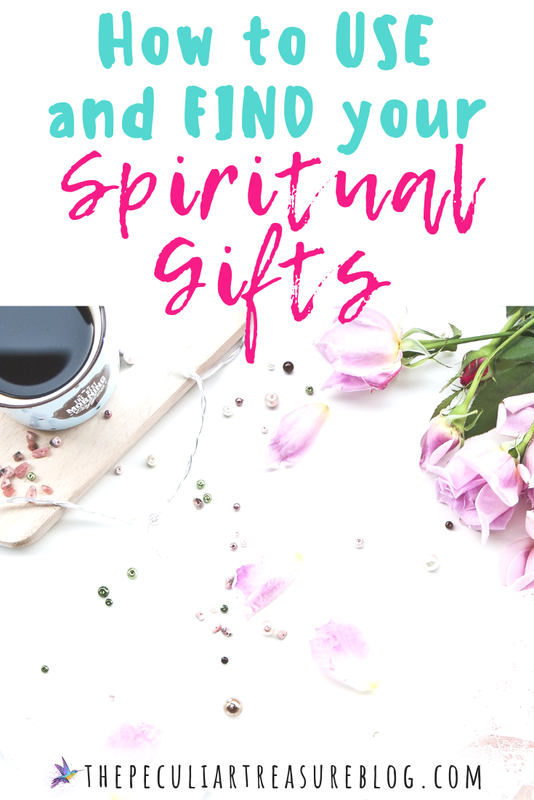 So what I would encourage you to do is take a few spiritual gift assessments if you are unsure of your gifts. But temper this with looking at your natural abilities that you already know you posses. Don't just take the quiz and throw away all else in pursuit of using the gifts laid out in the test. A generic test is not God and we always need to be aware of God's leading in these areas too. 105 Questions Quiz: Not my favorite but can be helpful. It gave a tally of every gift and what I scored in it, and then told me my top three gifts with a description of those three. This one is very detailed and you have to tally the results yourself. But if you like that sort of thing, it's probably a good one to take. I like the wording and scale on this quiz better than the others I've taken. I will say that they make some things into "spiritual gifts" that I would argue are just general talents. However, no quiz will be perfect and this may be helpful. The thing is, there are probably hundreds of ways for you to use the spiritual gifts God has given you. For example, one of my gifts is encouragement, which I can do every single day in many capacities. 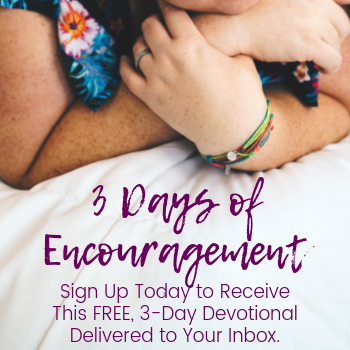 I can be a general encourager to the people around me (see my free, 3 day email devotional for more on this), I can use this blog to encourage, I can cheer my hubby on in his schooling, let the kids I nanny know that they are smart and valuable, or I can lift people up when they are having a rough day. There's not one set task I have to do if I am an encourager- and the same is true with every spiritual gift. So sit down, list all the areas in which your gift could possibly be useful, and get creative. Once you've brain-stormed some ways in which you may be able to best use your gifts, start searching for opportunities in your area that align with what you discovered while brain-storming. Example: If your gift is teaching, this doesn't mean that your only options are being a pastor or school teacher. 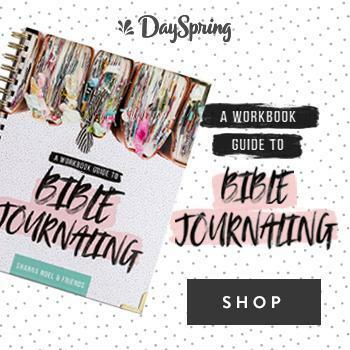 You could be a bible study leader in your church, a mentor for an after school program, a coach, or a blogger. All of those things would utilize the gift of teaching, and I feel certain there are many more avenues that would too! Once you've done your due-diligence, I would recommend talking to those around you who are wise and strong in the Lord about what you've discovered in your quizzes and research. This can be a spiritually strong family member, friend, your pastor, etc. Talk to a few people who fit that description about whether they feel your assessment of your gifts and your quiz results are accurate. Then see if they feel your ideas for serving are doable and a good fit for you and ask if they have any other suggestions to add to the list. Remember that people are not God, though. Getting wise counsel is extremely important and biblical, but we must always remember that humans aren't perfect, so always take their advice and measure it by scripture. I found a post by The Gospel Coalition about why asking "what is my spiritual gift?" is the wrong question. One of the reasons the author feels this way is because sometimes when we know of a particular gifting we have, we will sit on our butts until an opportunity comes to use that gift. But the Bible tells us to serve one another in love. It never says to wait until our "one gift" is able to be used. The truth of the matter is, we all have multiple giftings, and when those can be used, we will probably feel most "at home" and most useful. And that's awesome and God wants us to use those gifts well. But that doesn't mean we only serve with those gifts. In fact, God also wants to stretch us and grow us. He wants to use our weakness for his glory. So guess what... God will sometimes ask us to do things we aren't as good at. Does this mean he will ask us to be pastors just because we are bad at it, or ask us to be secretaries in the church when we are the most disorganized person there? Probably not. But he may ask you to speak up in a crowd to share truth, or ask you to help your mission team organize some paper work. And we can't just say, "no thanks, bro. That's not my gift"! So when it comes down to it, whether we have clarity about our gifts or not, let's get our butts up and serve!